Much like its predecessors, Injustice 2 isn’t simply a tie-in comic, but rather, a compelling prequel that sets the stage for the blockbuster video game of the same name. 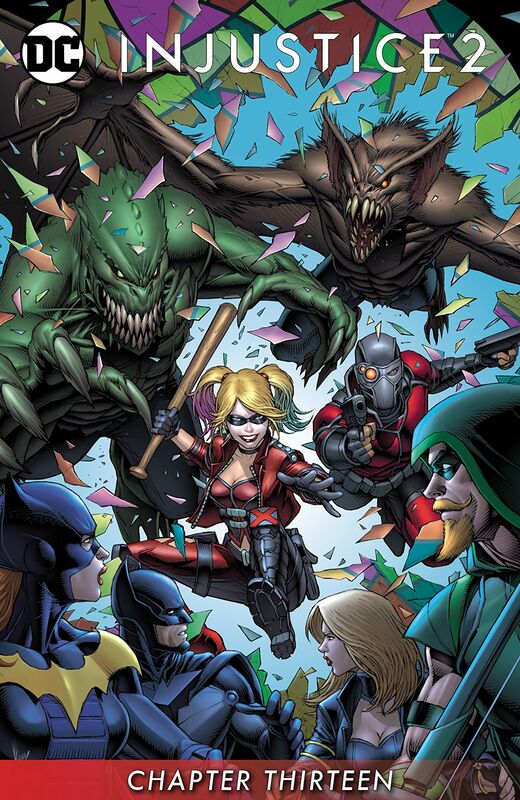 Oh, and there’s also the fact that it happens to be one of the best books currently published by DC. 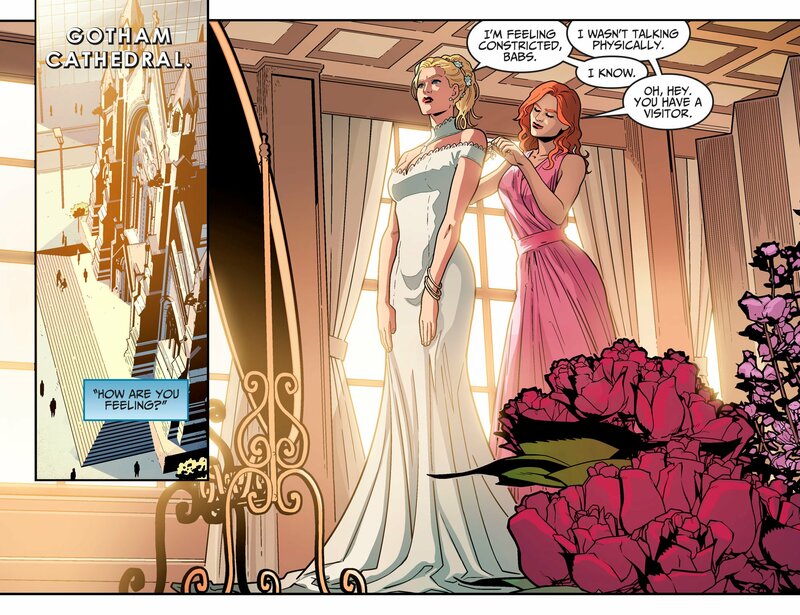 Since debuting this past spring, the digital first series written by Tom Taylor impressed us from the get-go, presenting a DC Universe different from what we’ve come to know, yet is no less compelling. 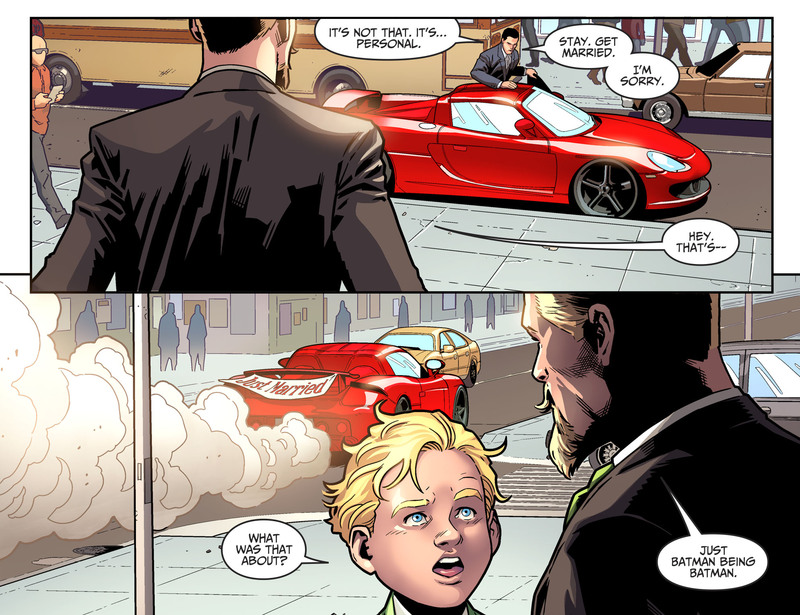 Sure, it has that built in “Elseworlds” type of appeal, but when you factor in new concepts such as Damian Wayne having a sister, well, that’s what makes for “must read” material in our book. 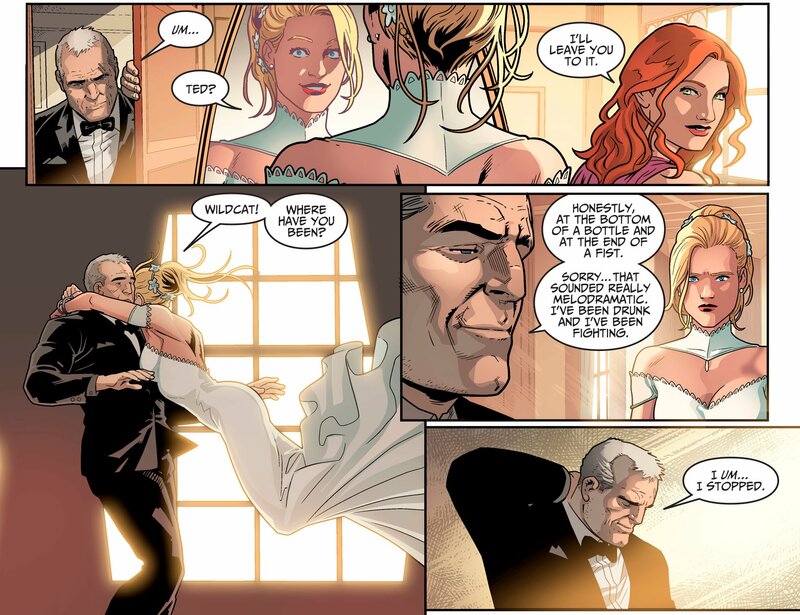 There are, however, some constants that still ring true, such as the enduring romance between Green Arrow and Black Canary. Being one of the greatest power couples in all of comics, we can certainly see why the folks at NetherRealm carried it over to the interactive experience. And, should you have played the game already, then you’d know they both played significant roles in the story mode. 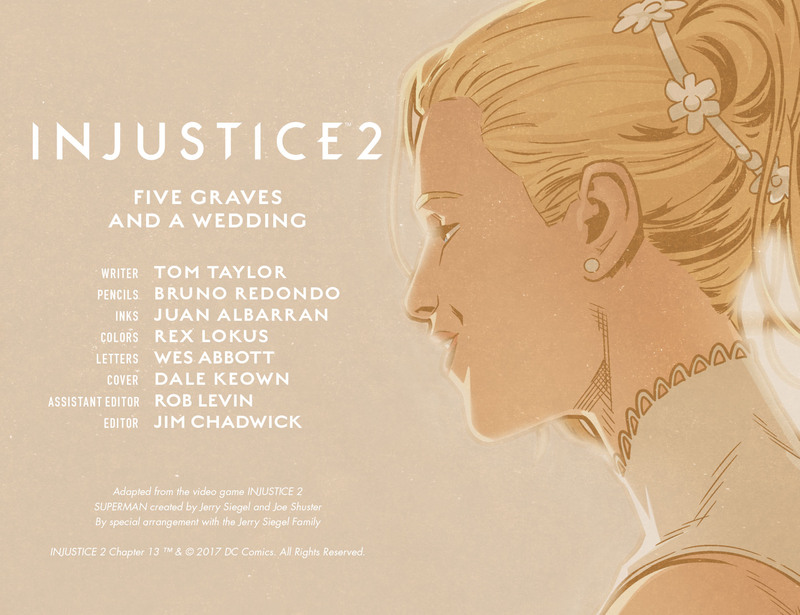 With that, we’re pleased to exclusively offer your first look inside the thirteenth digital chapter that just so happens to include the wedding of the two icons. What’s more is that little touches like including Ted Grant add such charm to what is likely the calm before the storm. 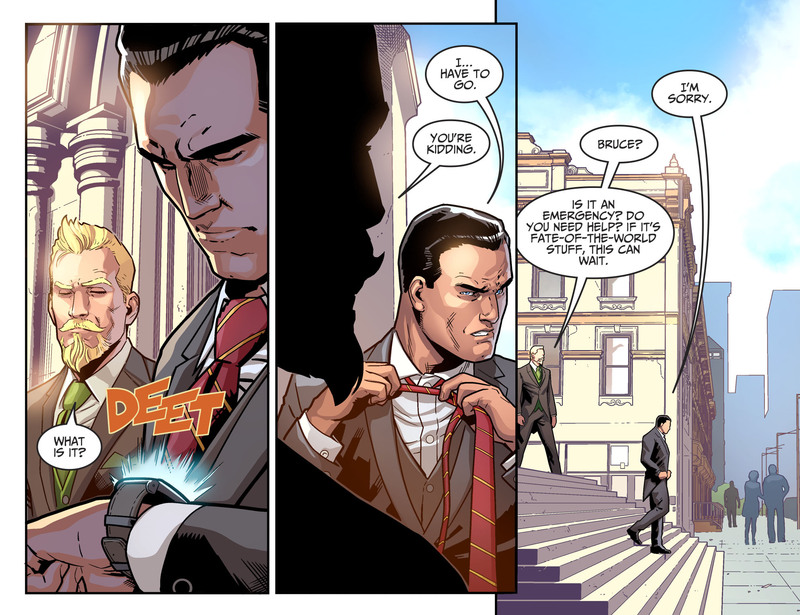 Hey, we’re guessing whatever pressing matters Bruce Wayne must attend to aren’t to be taken very lightly. Should you be interested in purchasing a copy of Injustice 2 Ch. 13, know that you can download it next Tuesday, July 4 via the DC Comics App, Readdcentertainment.com, iBooks, comixology.com, Google Play, Kindle Store and Nook Store. Or, if physical copies are your thing, be sure to pick up issue #7 of the periodical when it arrives in comic shops on August 2.